Over my little blogging break last week, Aaron and I took a road trip to Santa Fe, New Mexico for four days of adventuring and relaxing. We had a grand ol’ time! Packing was a little challenging because we had a wide range of activities to cover (everything from hiking to a fancy dinner) plus some pretty massive temperature swings (from 80 degrees to 30 degrees). Curious how I made it work in a carry-on? 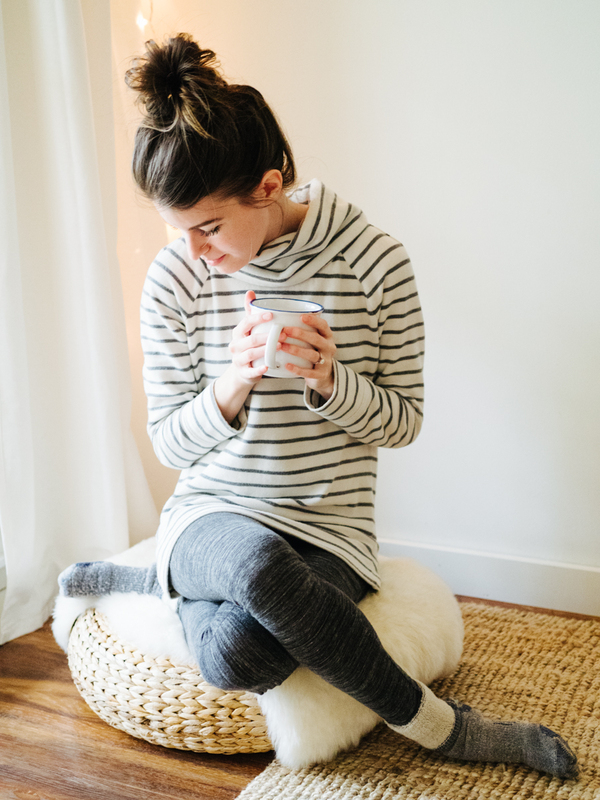 You’re in luck because today we’ll chat what I packed, what we did, and what I wore each day. Because of our varied activities and weather, I split my suitcase into two categories — one part sporty clothes, one part regular clothes. Then I split those categories in half — packing half warm weather clothes and half cold weather clothes for both categories. Everything fit nicely into my carry-on, and while I probably could have packed a little lighter (it was a short trip, after all), I’m still glad I brought what I did. Some things got very little use — I only wore my jeans for a few hours, only wore my coatigan for a few minutes, and never ended up wearing my silk tee — but I was happy to have them all the same. On our 7 hour road trip, we snacked on cocoa dusted almonds, listened to this happy playlist, and enjoyed the scenery as it rolled past. 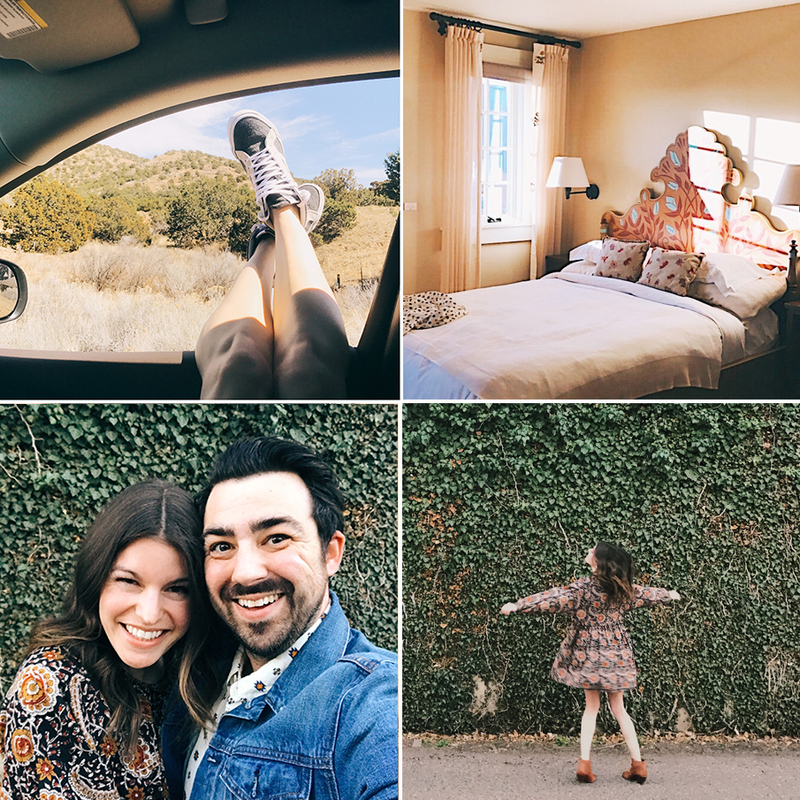 We just had one afternoon + night in Santa Fe proper, so we made the most of it, staying at the historic Hotel La Fonda and eating the fanciest, most delicious dinner at Sazon. The next morning, we ate a quick breakfast in Santa Fe and then headed out to Tent Rocks. Hands down, this was our favorite part of the trip. Tent rocks is a 30 minute drive outside of Santa Fe and it’s well worth it — put it on your bucket list stat. Even though it’s just a 2-ish mile hike, we took it slow and spent the whole morning enjoying the scenery. Just looking at these photos makes me want to go back! WHAT I WORE: The hike was easy so I wore my cutoff shorts, base layer tee, and hi-top Vans. 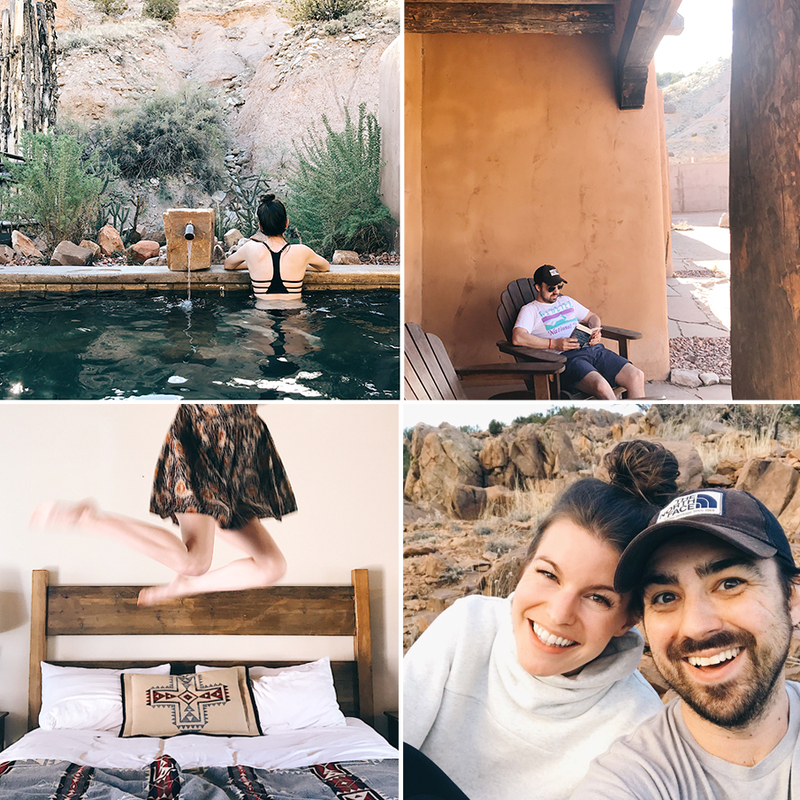 The end of our trip was all about relaxing, so we stayed at Ojo Caliente for their legendary hot springs. You know what’s cool about Ojo? They have a no cell phone policy — you can use your phone in your room, but you’re not allowed to bring it out on the property. That little break from screens was blissful. Most of our time was spent reading in hammocks or hopping in and out of the hot springs. We also hiked around, played card games, stargazed, and made s’mores around the campfire. To me, that’s the ultimate vacation itinerary. Give me all the chill. WHAT I WORE: I wore my boho dress and booties one night for dinner. (Yep, I wore it two out of three nights of our trip. No shame in repeating outfits — I love that dress so much!) Other than that, at Ojo, I wore athletic clothes or my swimsuit. What about you? Have you ever been to any of these places? What did you think? Got any other desert destinations we should put on our travel lists? Tomorrow, we’ll kick off a little series with my boho dress — I’ll share a different way to style it each day for the rest of the week. 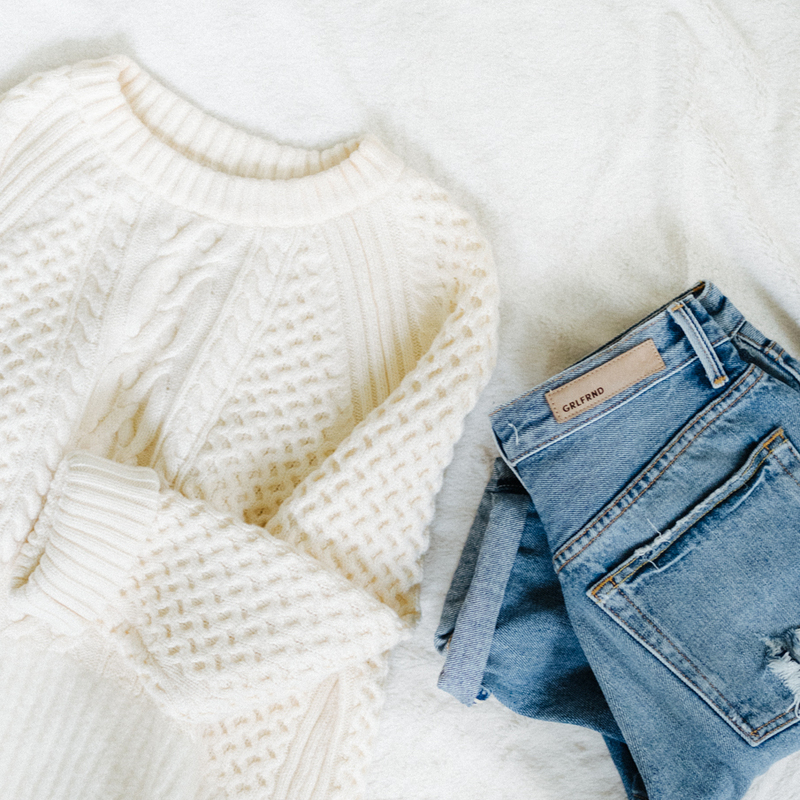 And … the photos will be a little different than you’re used to — I’m trying out a new photo style for my everyday outfit posts. Ah, nervous but excited! See you tomorrow for look one! I’ve been to Santa Fe before but I think your trip was much better! We were on a relocation road trip so when we got there we were exhausted. We walked around the little town, got sick of the same old same old shops and fell asleep early til the next day. It seemed like an old people town. But it looks like you figured out how to make it pretty awesome. That hike looks beautiful! Great post and pics! I love the swimsuit shown in the photo of your back, but it doesn’t seem to match the link you shared to J crew. Can you tell me where to find that one? Tent Rocks looks absolutely amazing, I would love to go there one day! I love the swimsuit you brought with you, so pretty. Love the swimsuit top! The link connects to a different one. Could you kindly correct? Make more travel issues — I LOVED seeing the sites I didn’t know Santa Fe had! I’m from ABQ and love Santa Fe and Tent Rocks! Some day I’ll make it to Ojo Caliente. Tent Rocks looks stunning, I would love to go there one day. The swimsuit you brought with you is so pretty, definitely inserting it into my wish list for my summer shopping! Hiking, hot springs, and no cell phones?? Sign me up! This sounds AMAZING. Best birthday trip ever! Happy day to you! I just love that dress! Caroline, you hike on most vacations, but do you do other workouts too? Like a short daily yoga routine? Just curious, I have a hard time fitting that in when I’m out of routine. The trip looked amazing. Do you use any particular apps to find things to do in a specific place? I’m sure there are many hidden gems or things to do in my state but I can’t go by word of mouth since I don’t know many people here (just moved). I would love to wear my dresses for days in a row but unfortunately I have excessive sweating and must wash my clothes after one use. Also my skin is very sensitive and will irritate with any harsh cottons, polyesters. A lot of retailers are switching to cheaper fabrics which have led me to look into more expensive brands such as everlane. Does everlane have soft clothes? Loved this post. I love all of your packing posts, in fact! My husband are taking our delayed honeymoon in July (we got married in January) and I’m already starting to plot my outfits for our 10-day excursion. We’re going to Quebec City so I’m hoping the weather has warmed up a bit by then. At any rate, I’m so glad you enjoyed your time in Santa Fe, it looked like a fabulous trip! I look forward to seeing tomorrow’s post featuring that adorable dress. I love love love this post! I hope you will continue to post travel itineraries with your packing lists. It’s really fun to get the whole vibe of the trip, from hotels, to snacks to playlists. Did you read any good books while you were there? What games do you guys like to play? Keep it up! That looks like a wonderful vacation! I love the pictures! Is it just me or is the bathing suit you’re wearing in the one picture different from the one shown on your packing list? The position of the back straps looks different. I loved reading this post! Your photos look so beautiful. I’m a big fan of going hiking whilst on vacation too and just making sure I keep as active as I possibly can. HI, I’m new to your blog and I think it’s brilliant. I definitely try to make better decisions when before buying, but I also can get caught up in not deciding at all! You’ve helped me stay a bit more focused and see the items I already have from a different angle. Something that might be cool to add is a men’s capsule!! My husband needs a wardrobe overhaul. He’s such a good looking guy, want him to dress the part! Caroline, I always enjoy your packing lists so much. Thank you for sharing! I love your honesty about overpacking. I’ll try to embrace that “glad to have” attitude on my next trip, because I always feel like I failed a little when I end up not needing everything that I packed. Looked like an amazingly chill little getaway. They are always good for the soul. Great to see the packing layout, I’m still a disaster for overpacking – trying to cover all bases. Just looking up the Girlfriend Collective and love the ethos. Did you get your leggings made to order? We went on a cross country road trip, stopping in Sante Fe for two days, that needed an even more challenging packing list. It was winter when/where we started out. We ended up in sunny and warm Phoenix. We stopped for touring in Sante Fe and for skiing in Flagstaff. We needed a very wide range of clothing, but we packed very carefully. I did a lot of layering and a lot of time was spent in workout clothes. 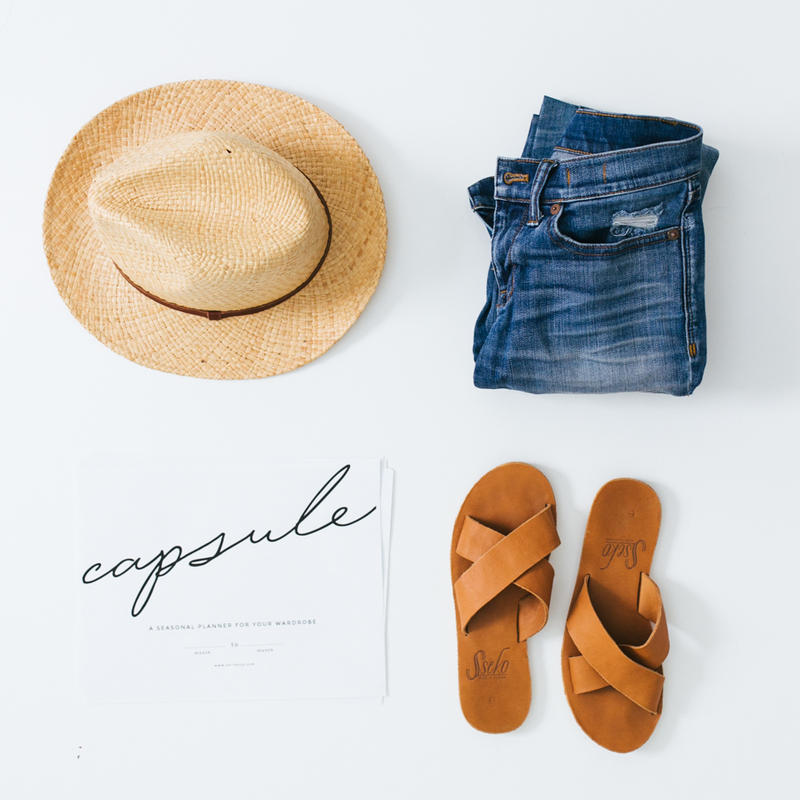 I really love when you show your exact packing list and what you wore for each occasion. Our next packing challenge is a northern european cruise this July for 2 1/2 weeks. I welcome any advice! Excellent recap of a trip to one of my favorite locales! I cannot wait to see the new photo change you hinted at… You are getting so very darn good at this blogging thing– you are definitely my favorite to follow in all of blogolandia. Keep it up, Caroline! Ooh looks like such a relaxing trip! Glad you guys had a great time. :) I love posts like this, btw. On my last weekend trip in October I waaaay overpacked, so I’m going to try and be better prepared for the next one in June. I’m looking forward to the carry-on challenge! Ojo looks like a beautiful place to stay, but what if your only camera is your iPhone? Will they let you use it to take photos of the grounds? Hi Caroline! Wasn’t going to ask but my curiosity is eating me: what did you use for a purse, handbag etc? Didn’t see even your lovely tote, but assume that’s a given. I know I’d be lost with nothing to clutch my identity cards (and other unmentionables) near to me even on short getaways. I would love to hear how you might approach a longer trip. We have a 6-day trip coming in early May to NYC that includes a wedding and days of sight-seeing. From cocktail wear to jeans, in unpredictable weather. 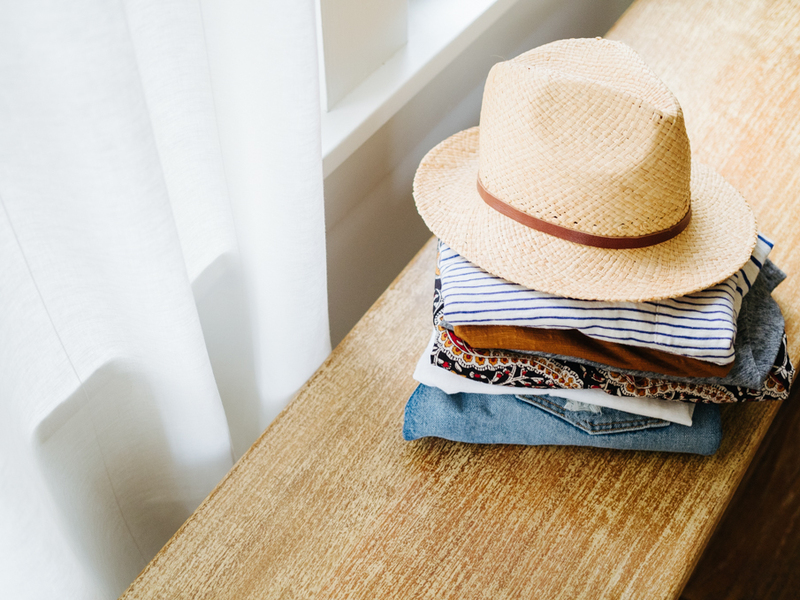 How to pack without 2 suitcases?! I love Santa Fe! I was able to get an internship at the O’Keeffe Museum to work with their Art + Leadership Program – and it was without a doubt the best summer of my life! (I’ve lived in OKC my whole life – with the exception of this summer and college.) Hubbs and I are headed back to Santa Fe in June for some anniversary pics at Tent Rocks – love that place. Have you visited O’Keeffe’s house in Abiquiu? Both are cool – but you’d love her minimal and gorgeous home just north of Santa Fe. It is the “must-see” recommendation I give everyone :) Hopefully you snagged a crepe under La Fonda and a salad at Vinaigrette – my other two faves! Living vicariously through your travels, New Mexico has my heart! That’s amazing Marissa! What a beautiful place to live. 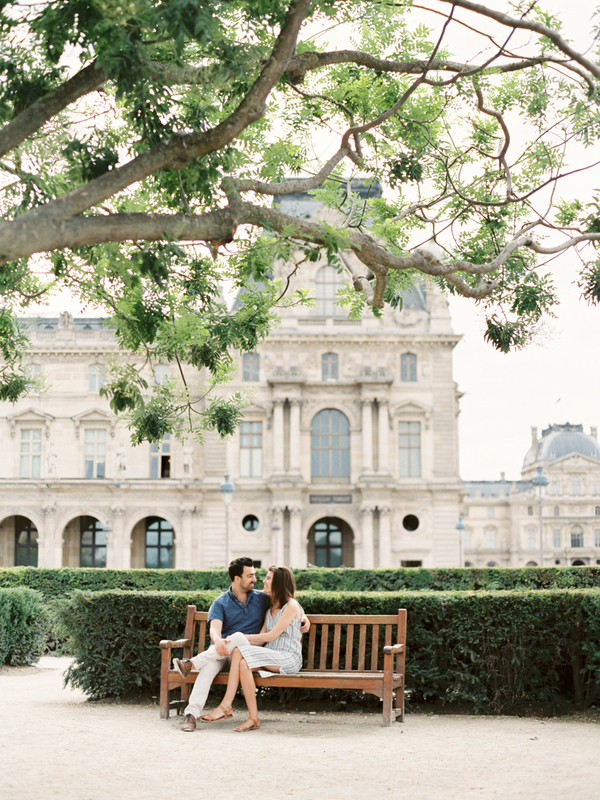 :) And a perfect spot for anniversary pics. Enjoy your trip! Hi! 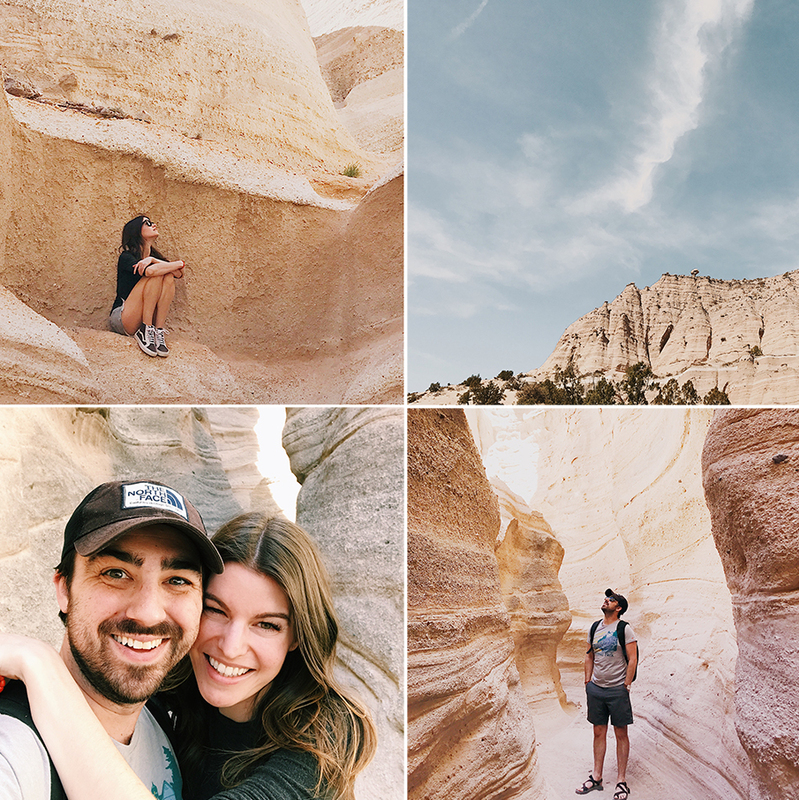 Love your blog and style and your lifestyle photos are awesome :) My family and I are on a current National Park kick and have gone to to Grand Canyon, Antelope Lower, Horshoebend and Zion! Out of all..Zion is a MUST. Well, they all are really. But it will totally blow you away I promise! Love how this post was set up!